Virtualisation is a key part of what we do. Traditionally organisations were drawn to virtualisation in order to consolidate the footprint of their server estate. However while server virtualisation is still at the core of every environment, organisations are now leveraging application and desktop virtualisation to make their environments more flexible and agile. As a result users are beginning to reap a range of benefits from virtualisation which go beyond the cost savings of server consolidation. We work with the top three leading vendors in this field; Citrix, Microsoft and VMware. Our skilled consultants will work with you to design, develop and manage a solution that meets your business objectives and end user requirements. Managing applications centrally and running them as virtual applications helps to simplify deployment and upgrades. Virtualised applications run in their own virtual layer / bubble and this allows your users to run multiple versions of the same application on the same desktop. An application can be rolled out to a user or removed from a user’s workstation in a matter of seconds without impacting the users current tasks or any other installed applications. For many organisations, upgrading applications or rolling out patches is an operational nightmare and for many a full time job in itself. First you have to the test the application in an isolated environment. Once this has passed, the application is then rolled out to a small number of users for acceptance testing. After this phase the application is slowly rolled out to the rest of the organisation. It is at this point that compatibility and coexistence issues occur. This is especially pertinent when no two desktop builds are identical. The IT team is then forced to troubleshoot the issue for individual groups of users and provide isolated fixes. In extreme cases where the issue cannot be remediated or it impacts the user’s ability to do their job, the application update is regressed. This leaves a mixed estate with different versions, builds and private fixes for applications. Virtualising your applications greatly improves the time it takes to roll out updates and new versions. The risks and impact associated with application changes are greatly reduced as regression can be instantaneous. Application conflicts are a thing of the past as each application runs within its own virtual bubble independent of any other installed applications. 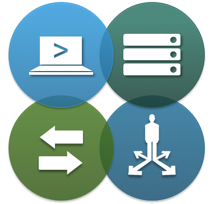 Users are able to run multiple versions of the same application on the same desktop; this is a great benefit when testing new versions or training end-users prior to planning an application upgrade. 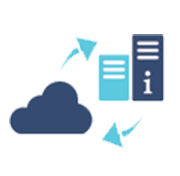 Application virtualisation solutions from Metaphor IT enable organisations to increase efficiency and reduce costs by centralising application management, version upgrades, patch updates and application distribution to end-users. 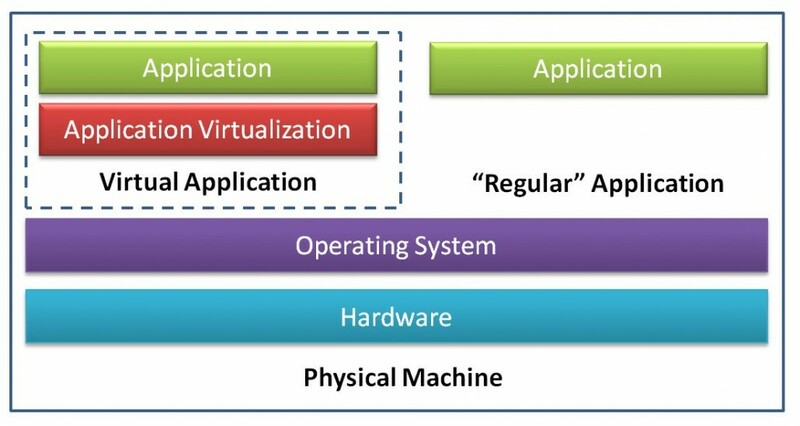 Application Virtualisation is not just applicable to fat desktops. You can package your applications and stream them to a number of operating systems and end points. Many organisations who make use of virtual desktop infrastructure or server based computing, leverage Application Virtualisation in order to reduce the number of applications installed into the base image. Single image management enables you to roll out a base image that is the same for all of your users. The rest of your applications can then be layered on separately via application virtualisation depending on the users requirements. Within organisations, different types of users require different types of desktops. Some require simplicity and standardisation, while others need performance and personalisation. Centralising the management and delivery of virtual desktops that are tailored to the needs of the users can be delivered seamlessly to their desktop PC, laptop or mobile devices regardless of what applications or operating system is required. Just like server virtualisation, desktop virtualisation or VDI relies on a hypervisor, which runs on bare-metal server hardware and provides a platform on which administrators deploy and manage multiple virtual machines. These virtual machines are spawned from a single, or collection of base images. 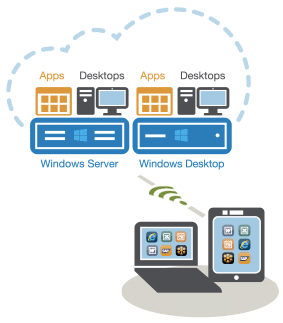 Dedicated – A user logs into their own virtual desktop everyday. This is the same virtual machine and is typically assigned to users who require administrative rights to make local changes to the machines. This is often the installation of bespoke applications and is usually aimed towards developers. Server Based Desktop – Rather than a traditional desktop operating system the user is provided with a remote session on a terminal server. The look and feel is identical to that of a traditional desktop operating system. In contrast to the above options, the difference with server based computing is that multiple users are utilising the same operating system at any one point. This is typically aimed at task based users and is a very cost effective model for deploying desktops. Metaphor IT can help you centralise your desktop delivery services, standardise remote access and security, reduce management complexity and enable employees to have a virtual workspace that is available to them 24/7, on any device and virtually any network connection. What was once ground breaking technology is now at the heart of most organisations infrastructure. Moving from a traditional server environment to a virtual server environment uses less physical servers, takes up less space, utilises less power, emits less heat and therefore requires less cooling. Customers will therefore generally always reduce running costs in a virtual environment when compared with a physical environment. What’s more, on-going support and maintenance costs can be reduced significantly because there is less hardware to support. Server virtualisation can now be viewed as part of an overall virtualisation trend in IT that now includes Application and Desktop Virtualisation, Storage Virtualisation and Network Virtualisation. Organisations are now looking to make the next leap into the world of fully software defined data centres leveraging the power of the cloud and various as-a-service type services.